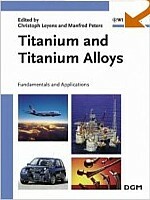 Reference for materials scientists and engineers needing to gain further knowledge of titanium and titanium alloys. 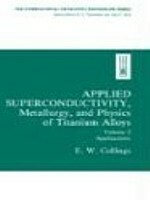 Describes fundamental material properties of titanium and comprehensive descriptions of the development, processing and properties of modern titanium alloys. 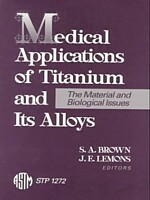 Applications of titanium and its alloys in aerospace, medicine, energy and automotive technology. A well-balanced mixture of authors from industry and academia. Basic characteristics and physical metallurgy, the extractive metallurgy, the various production processes, the correlations between processing, microstructure and properties, and all aspects of applications including economic ones. 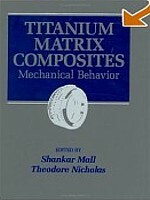 The book covers commercial pure (CP) titanium, alpha + beta and beta alloys, as well as titanium based intermetallics and titanium matrix composites. 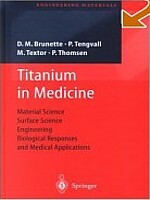 Richly illustrated, a reference for materials scientists and engineers. 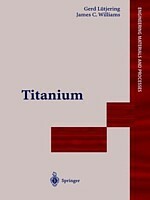 A complete introduction to titanium and its alloys, with coverage of all technical aspects of titanium with sufficient metals property data for most users. 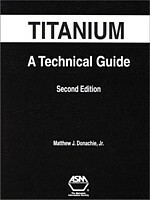 For users at any level of experience with titanium, providing both technical information and an executive summary of the metal and its uses. Mechanical behavior Theory, mechanisms, analysis, testing, modeling and prediction. Review of current technology on the mechanical behavior of these materials. Propulsion and airframe components in advanced aerospace systems, summary of advancements related to mechanical behavior and related mechanical issues of TMCs under various thermo-mechanical loadings.